You are out to dinner with your spouse when you feel like you have something stuck in your teeth. This can be extremely annoying, as suddenly, the only thing you can think about is that food debris that is wedged between your molars. You may reach for a toothpick in order to get it out, but is that really the best idea? Instead of using toothpicks, take some time to plan ahead for the inevitable situation of getting food stuck in your teeth. Keep some floss or a toothbrush in your glove compartment or in your purse so that you access it easily when needed. You can also invest in some flexible dental picks that will allow you to extract food from your teeth without having to worry about damage to your gums and soft tissues. 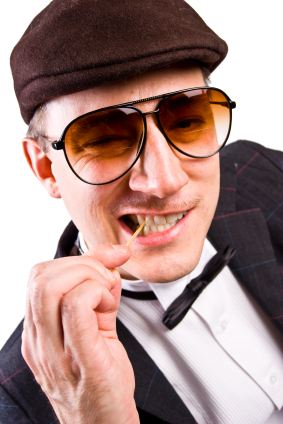 If you are a habitual toothpick user, your dentist will probably be able to tell due to the damage to your teeth and gums. In these situations, alternatives will likely be recommended in order to improve your smile and the health of your teeth. So please contact us today for more information on toothpicks.